Art Print: Camille Pissaro was a French impressionist artist who was known to work alongside Pierre-Auguste Renoir and Van Gogh. 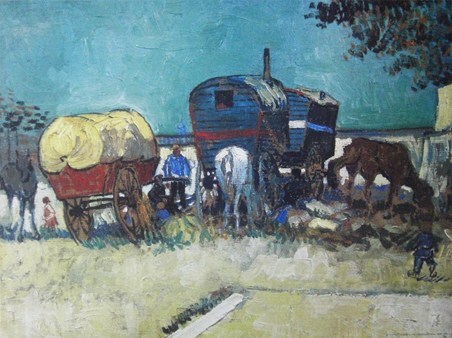 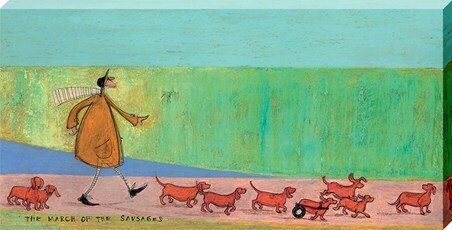 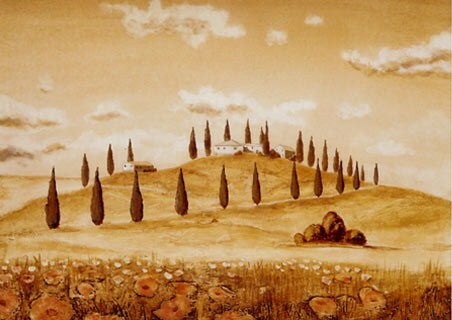 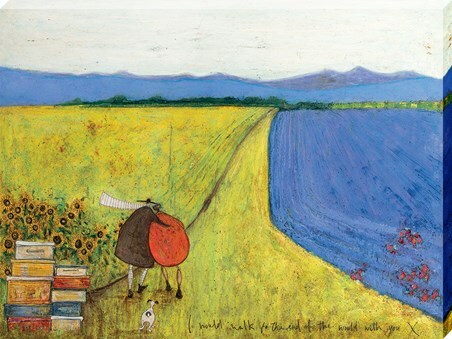 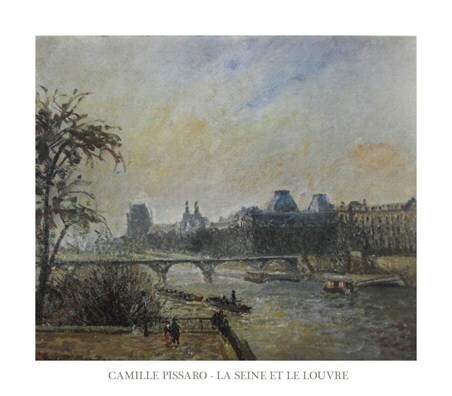 His paintings were influenced by his surroundings when he lived in Pontoise and Louvecienne with his wife and seven children. 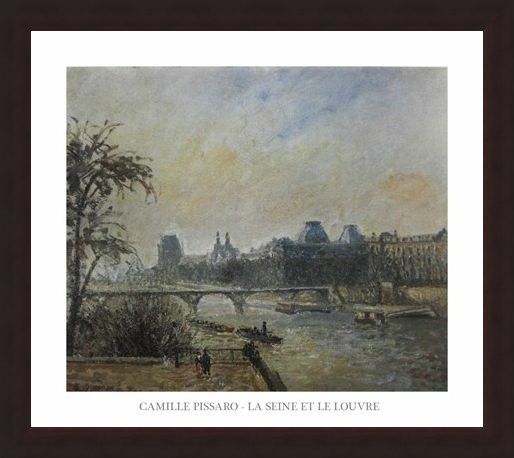 This wonderful piece is called 'The Seine and The Louvre' and it shows the view across The Seine from the Pont-Neuf Bridge which is the oldest standing bridge across the river. This magnificent print captures the activity of industry in the late 19th century, alongside one side of the river contrasting against the peaceful atmosphere on the other side. If you love classic impressionist art then this print by Pissaro will make an eye catching addition to your home with its air of French fancy. 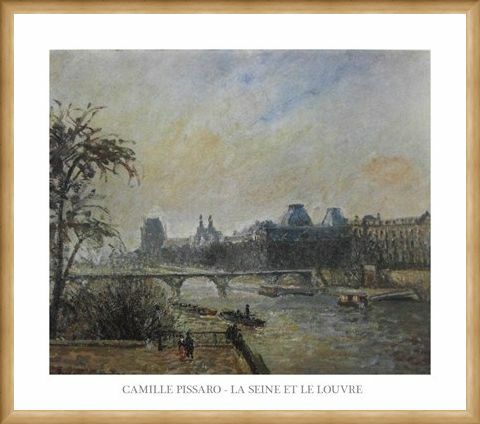 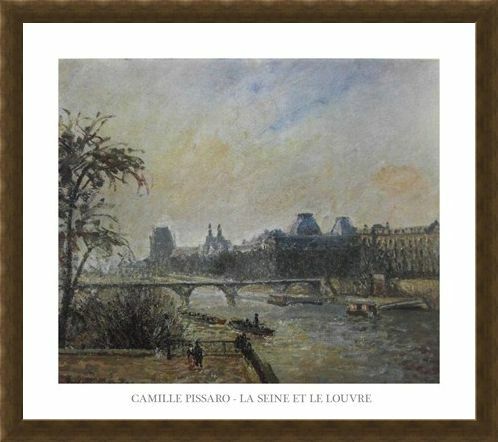 High quality, framed The Seine and The Louvre, Camille Pissaro print with a bespoke frame by our custom framing service.